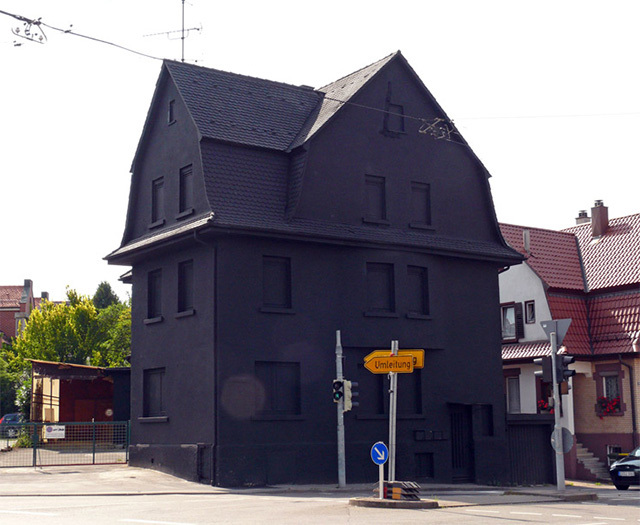 Haus in Schwarz (House in Black) was a 2008 public art piece by artists Erik Sturm und Simon Jung (previously) in the city center of Möhringen, Germany. 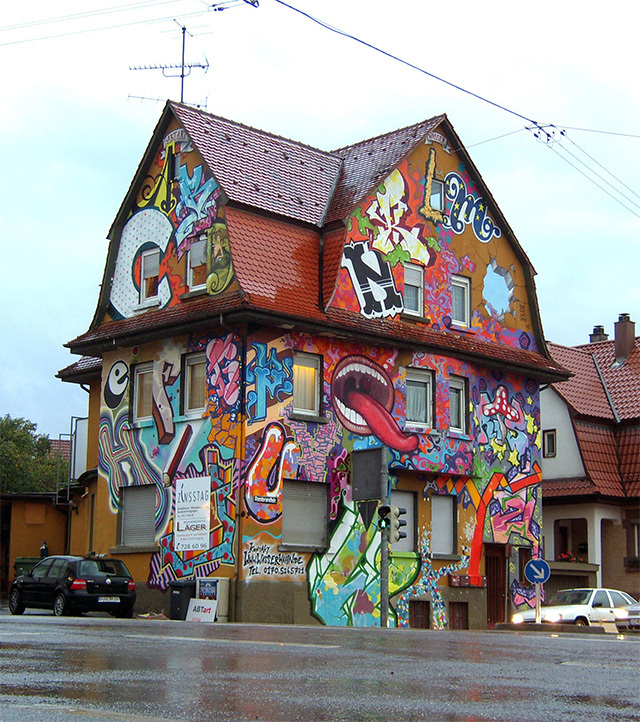 The piece was meant as a farewell to the building which was slated for demolition, with the matte black paint acting as a sort of final curtain to an exterior that had recently been used by numerous street artists, shown above. Does anyone know what occupies the space today? 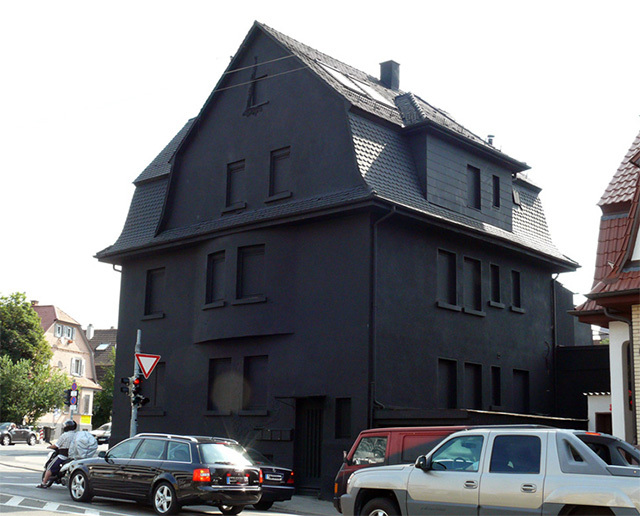 Update: After demolition, the owner, art gallery manager Karin Abt-Straubinger built a new gallery (but the House in Black still haunts Google Maps). 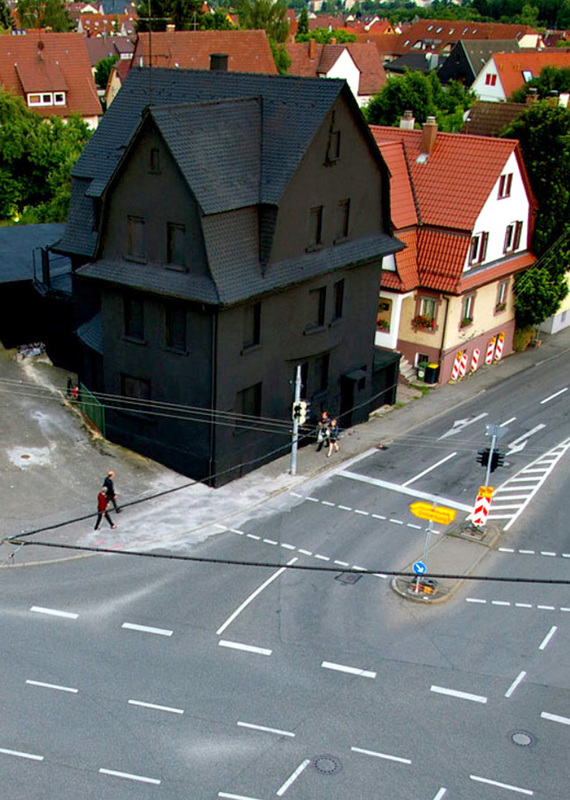 Thanks Gerhard.